Following the previous article that discussed the importance of SDN for Wireless Transmission networks, it is time to focus on a specific problem of Wireless Transmission and see how it can be solved with SDN. The problem selected is Bandwidth on Demand for Enterprise connectivity. Let’s start with how enterprises are connected today. Enterprises are typically connected using lines with fixed bandwidth. This fixed bandwidth is defined before the service is realized and becomes part of the contract between the Service Provider and the Enterprise e.g. “a 2 Mbps line between Site A and Site B with four 9’s availability”. Once the requirement of the Enterprise is defined, the Service Operator starts planning, that contains two parts. The radio planning that defines the type of equipment required to implement the service, the radio “path” and therefore the Bill Of Quantity (BoQ) of equipment in case the infrastructure does not exist already. Once this is done, network planning starts that is about defining the QoS requirements to achieve the characteristics of the network service in terms of bandwidth and availability. 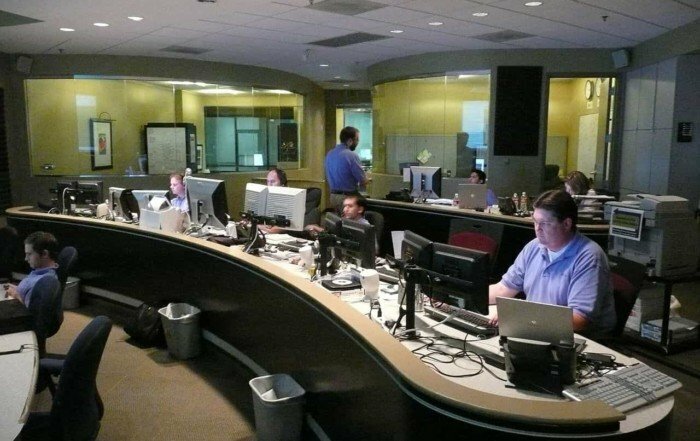 Following planning, the implementation phase begins that includes physical installations, radio initial setup, configuration and service provisioning and of course connectivity for Operation, Administration and Maintenance (OAM). These communication services for Enterprises typically require a Network Terminal at Enterprise premises, where the Enterprise uses a dedicated port or multiple ports. The Network terminal can be a ethernet switch, or even a Wireless Point to Multi-Point terminal, as displayed in the figure. What happens if the service needs to be modified, e.g. for more bandwith? What can we do when bandwidth is required occasionally? What happens if the traffic patterns are not predictable? But why and when do enterprises need this flexibility? 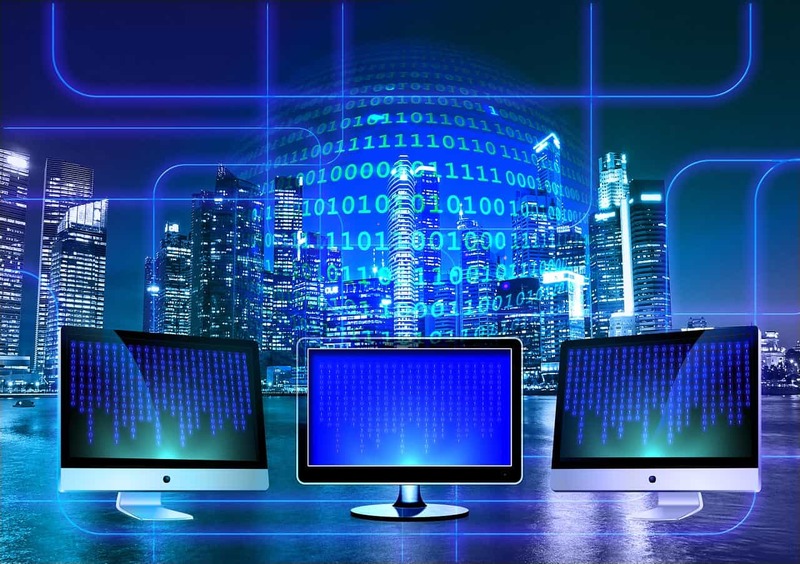 Enterprises are gradually collecting and relying on big data, to analyze their performance, their customers behavior, their market and devise their strategy to succeed. Also, the proliferation of cloud services and cloud networking is the second reason why enterprises need for bandwidth is growing and this affects also inter-enterprise communication. The problem: Unpredictable bandwidth demands and traffic patterns! Bandwidth peaks can exceed the mean by 10x, 20x or more – and can last anywhere from tens of minutes to several hours or even longer. Can we solve the problems without a new paradigm? Contracting for a private line or for a committed information rate (CIR) sized to accommodate such peaks is at best not cost efficient and for some Enterprises just prohibitively expensive. Trying to dynamically adapt to the demand is also not possible, as contracts would need to be re-negotiated, planning would need to be redone and network re-configurations would need to take place carefully, to avoid service disruption and therefore unhappy customers. 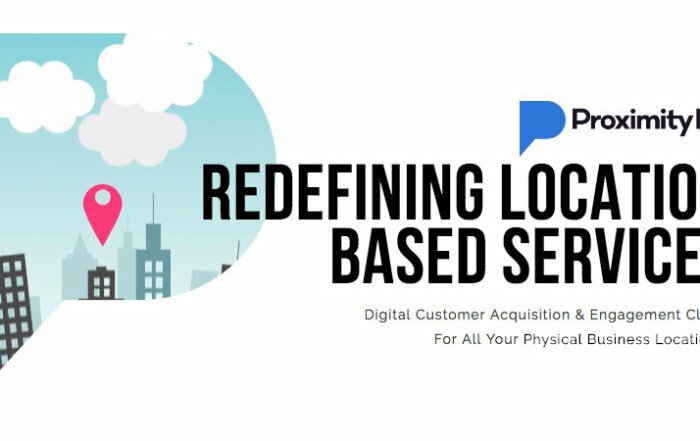 The solution is dynamic services! Many verticals, including manufacturing, media and entertainment find dynamic services very interesting and would be willing to invest to achieve this flexibility. Is there any way to do it? Enter SDN. 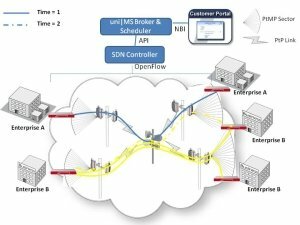 OpenFlow-based Wireless Transmission SDN will enable carriers to offer bandwidth on demand (BWoD) services that will allow their customers to dynamically establish and subsequently resize connectivity between their sites as necessary—and to pay only for the network resources that they actually use. 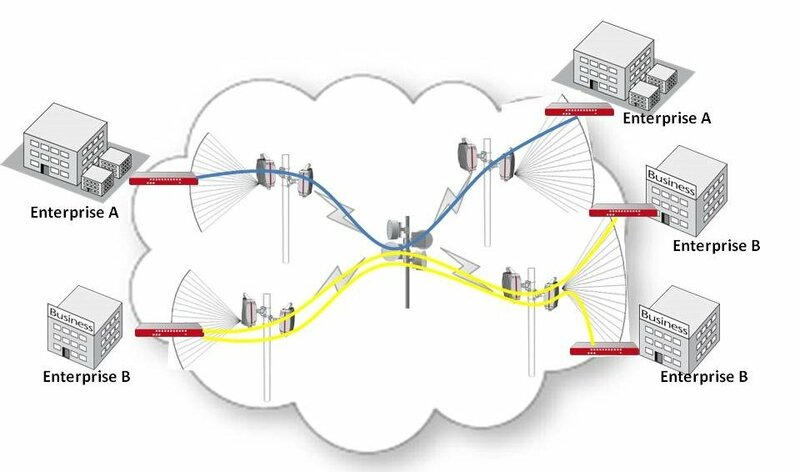 of the wireless transmission network operated by the service carrier. 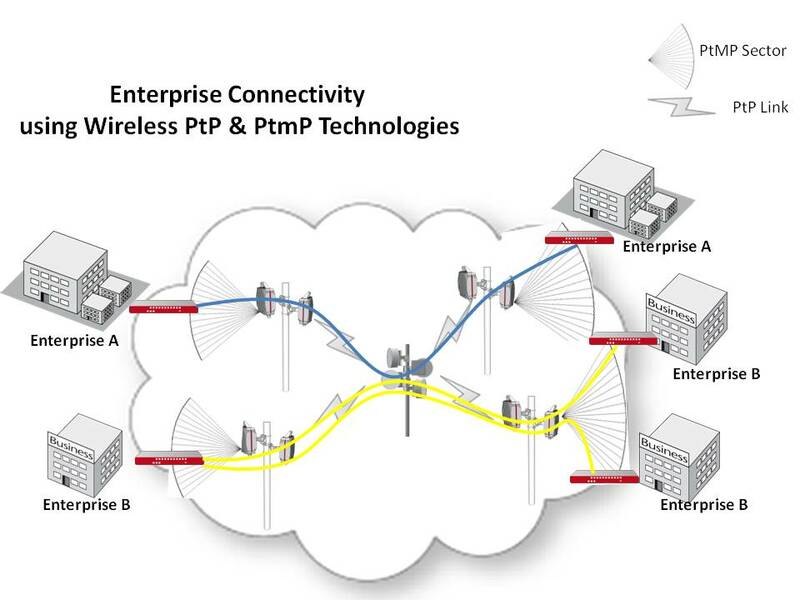 This can be done using Point to Multi Point (PtMP) network terminals at customer premises, which are connected to PtMP Hubs or base stations and are then backhauled over Point to Point Wireless Radio Links. In this case, the user network interface (UNI) is typically Ethernet (e.g., 10/100GbE). Forwarding from the UNI may be physical port-based or logical sub-port–based, in which case customer traffic is mapped to its respective BWoD “switched virtual leased line” (SVLL) by matching ingress VLAN IDs. Inter-site switching of the SVLL will be radio-based, as displayed in the diagram. 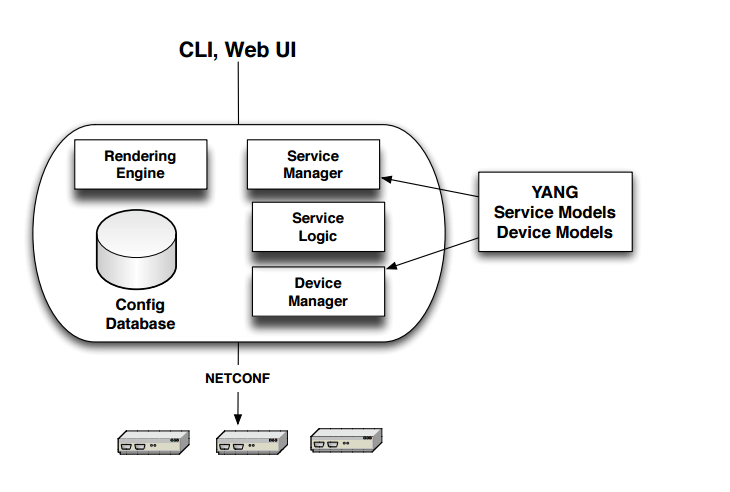 On-demand connections are established by the customer interacting with a bandwidth broker/scheduler application hosted on an SDN controller. Requested connection parameters are communicated through a portal or over a northbound API (NBI). The portal realizes a self-service approach, where the customer orders bandwidth, i.e. it is not dynamic but still it is flexible! The northbound API allows operations users, customer clients, and applications to request SDN communications services directly from the Control Layer. The broker/scheduler application first validates the request against the customer’s contracted policy (e.g., endpoints or maximum aggregate bandwidth) and then invokes the path computation element (PCE) to determine whether a viable path exists. 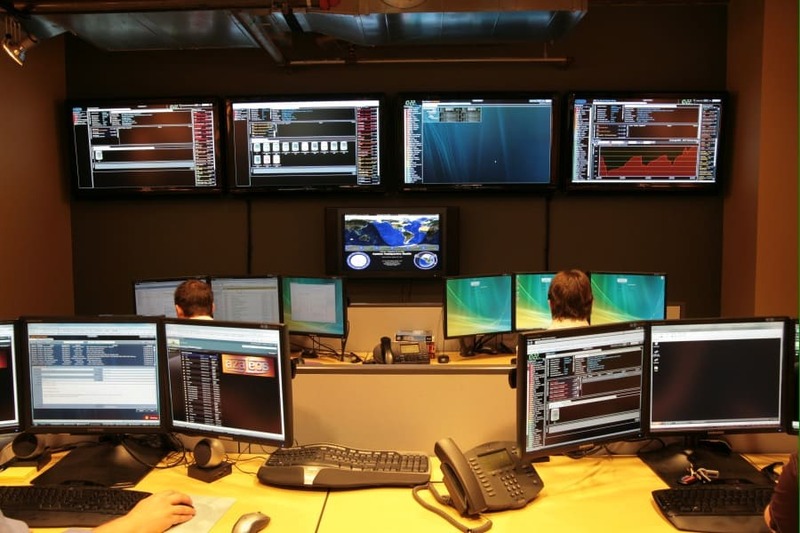 If so, it proceeds to instantiate the connection—either immediately or when scheduled—via the SDN controller. The SDN controller again uses the path computation element (PCE) to identify the best path and issues OpenFlow commands to the NEs to establish the bi-directional connection, including the mapping from client port to connection origination point, the hop-by-hop intermediate connections, and the connection termination point to client port de-mapping. The key here is the resources of released or decremented connections to become immediately available for other connections. sub-port mapping identifiers (e.g., VLAN ID), if applicable. In addition, the connection request may be for immediate instantiation or a specified scheduled time in the future, and for an indefinite or specified duration. 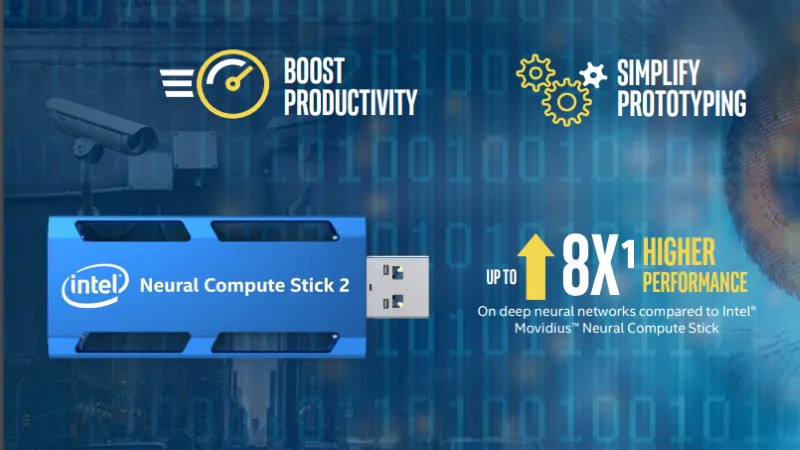 SDN–enabled bandwidth on demand provides when realized on Wireless Tranmsissin Networks used for Enterprise Connectivity will benefit end customers and network operators alike. End customers will become able to receive high bit-rate, deterministic capacity on a temporary basis when and where they need it, without the cost burden of over-provisioned private lines with long-term contracts. Priced intelligently, the network operator increases overall revenues by increasing their addressable market to those who can’t afford such contracts. At the same time, the operator increases return on assets by selling capacity several times over per month and for higher value per time unit than a flat monthly fee yields.